The composer discovered these three little poems in the much neglected garden of the home in which the French poet, Jean Aicard, had spent his last years. The lyrics were inscribed and fading into the stone of a fountain overlooked by a statue of a satyr. This poetry radiates a joyful innocence and the poet’s love and concern for the denizens of his garden. 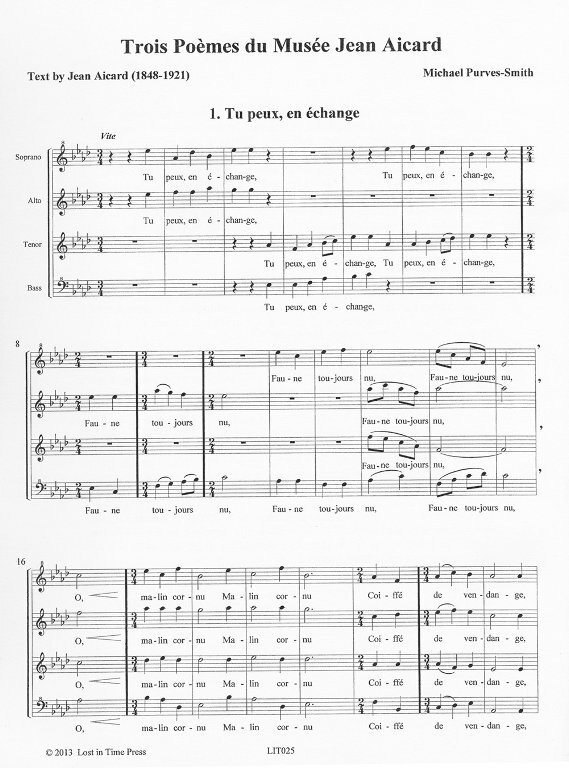 It is this innocence that the composer has endeavored to capture in the musical settings.